Special thanks to Jim’s wife, Kris Otis, and long-time friend, Lori O’Camb, for providing us insight into Jim’s inspiring life. Although we might not encounter them every day, there are certain people who truly embody curiosity, whose interests are outpaced only by the depth of their passions. KQED’s mission is to serve those whose curiosity pushes them to achieve their full potential, “everyone who wants to be more,” and James “Jim” Boyce was one of those individuals. His many interests led him all over the country and the world, and to KQED. 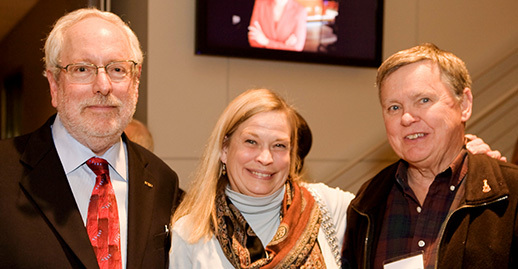 In 2013 KQED began receiving support from Jim’s generous bequest to benefit KQED. Jim’s generosity stemmed from his love of sharing the things he cared about with others — science, nature, food, Bay Area life, and connecting people through art and stories. His many interests and ventures reflected his passion for discovery and entrepreneurship. Born in 1942 in Panama, Jim was raised in Tahoe and later in Los Altos. A lifelong environmentalist, he developed a sense of place and an ongoing love of nature among the mountains, forests, and lakes. According to his wife, Kris, Jim loved the KQED programs that focused on science and nature, such as NOVA and Ken Burns’ The National Parks. But Jim’s abundant interests did not stop there. Indeed, his love of work, play and adventure led him down multiple exciting career paths. Whether it was studying and teaching architecture, starting a computer design company, running an organic ranch in Nevada, or revolutionizing French cheese-making in Marin, Jim was a successful innovator and natural leader. Kris reflects that Jim’s strength of mind and character made him a hard worker, someone who was “always looking ahead and thinking creatively.” This strength is the common thread throughout his many accomplishments. One of Jim’s most enduring interests was in Africa, specifically African micro-cultures. Jim was enthralled by the people and cultures he and Kris encountered on their three trips to Africa — including visits along the west coast, Botswana, and a trek through Rwanda. He was inspired by the smiling perseverance that the people he met brought to conditions of hardship, and he wanted to share their stories with anyone who would listen. Jim saw public media as the best venue to accomplish this. Through Jim’s bequest, KQED will be able to continue sharing people’s stories from Africa and all over the world for years to come. When Jim was not cheering on his beloved SF Giants, he was watching or listening to KQED in his and Kris’s home in Marin. He was a fan of Antiques Road Show, Rick Steves, and according to Kris, “could not get by without Masterpiece Theater.” Toward the end of his life Jim especially enjoyed the Ken Burns series Baseball. Considering all of Jim’s interests, including his love of art, independent film, and food, his vision to support public media could not have been a better fit. His bequest will continue to support KQED programming and help enlighten audiences for generations to come. Dale O’Rourke was a very good friend of KQED and other Bay Area charities. 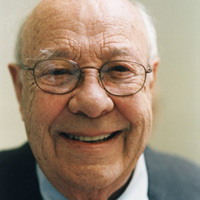 He set an inspiring example of how donors of all means, backgrounds and interests can be philanthropists. 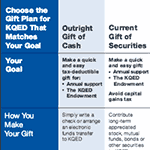 In 2010, Erling “Earl” Thor Martinsen called the KQED Gift Planning and Endowment department to tell us he wished to provide for KQED’s future. Earl told us he didn’t have much money, but KQED was important to him and he wanted us to have what might be left after his lifetime. He was inspired by seeing how others had made legacy gifts to KQED. 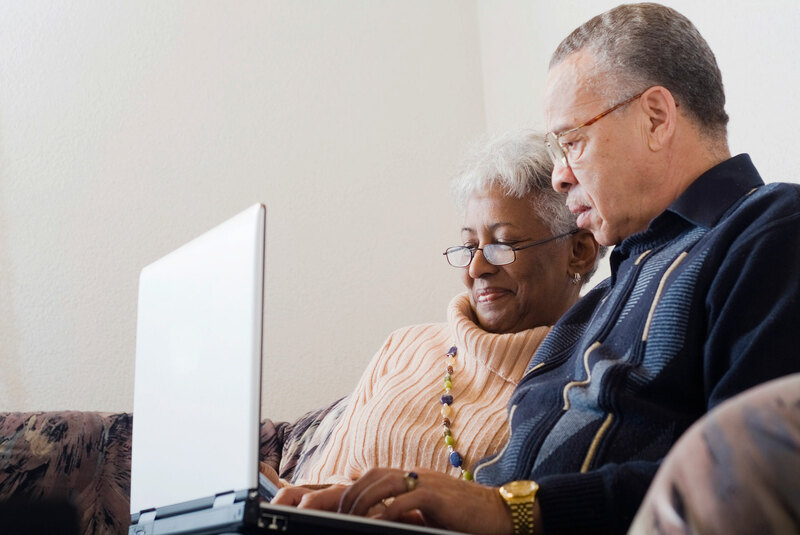 Earl also needed an attorney and asked the Gift Planning department for referrals of attorneys to aid him in drafting his first will, and of professional fiduciaries to serve as executor. 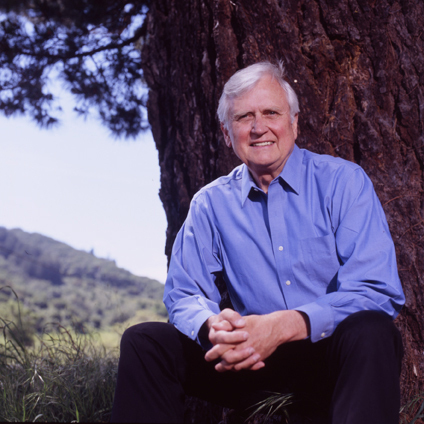 He completed his plans, and a year later passed away, knowing that his remaining funds would be his legacy to KQED and the people of Northern California. We are grateful for his bequest, which will help keep KQED available to everyone, regardless of age or circumstance, far into the future. At the end of his life, Bob fulfilled his goals to make gifts to family and friends and to charities he loved. 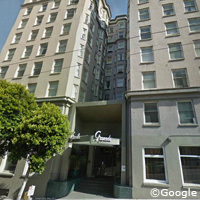 KQED is grateful for Bob’s volunteerism during his life and ultimately, his unusual bequest — he had acquired substantial real estate and bequeathed to KQED the note he held on one of the properties he sold. Now, the income from the note — and eventually the principal — will support KQED’s future. “I get it all from KQED,” he once remarked, though KQED has received just as much, if not more, from his generosity. Barbara Lotz felt that KQED connected her with a wider world and provided an intellectual community that enriched her life. 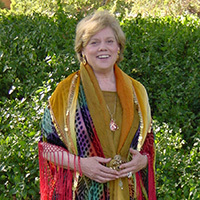 A musician, writer, and theater producer, Barbara embraced KQED’s cultural programming and community reporting. As a long-time member of nearly 20 years, she depended on KQED’s reliable accounts of events and deeply appreciated how KQED content educates children, corrects misperceptions about people with disabilities, and breaks down social and economic barriers. According to her close friend, Ron Barton, Barbara was intensely political and passionately interested in the welfare of youth and those who face myriad forms of discrimination. “Barbara extended her generosity to an amazing variety of causes and individuals in need.” KQED is grateful to be among those who benefited from her generous support. In the Fall of 2013, the Gift Planning department sat down with David and Claudia Chittenden, long-time supporters and devoted listeners of KQED, to learn more about their charitable activities and their motivations for giving.